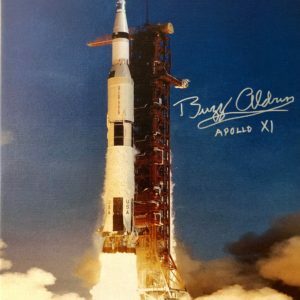 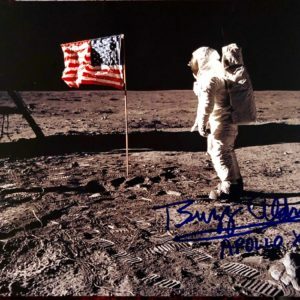 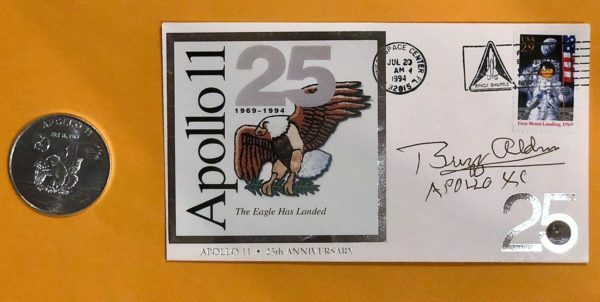 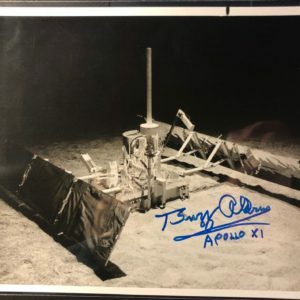 Only one available – this vintage Buzz Aldrin autographed, Apollo 11 25th Anniversary cover is postmarked from Cape Canaveral, FL on July 20, 1994 to commemorate the moon landing. 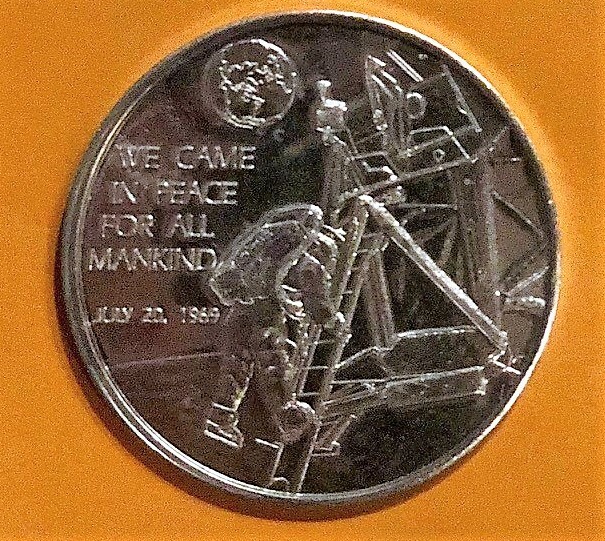 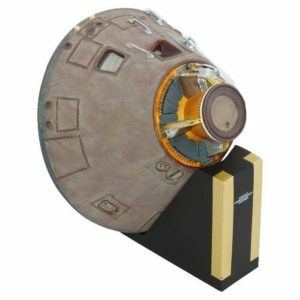 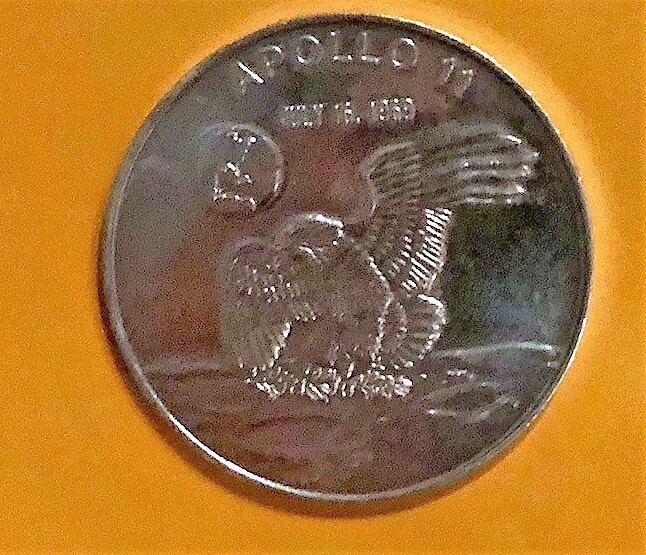 The cover is accompanied by a lightweight, vintage Apollo 11 coin which boasts the Apollo 11 emblem on the front and the words “We came in peace for all mankind July 20, 1969” on the reverse. 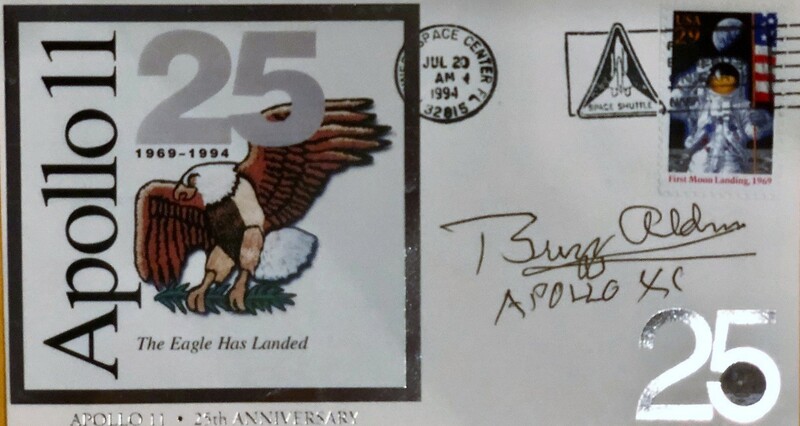 Both are accompanied by a certificate of authenticity.